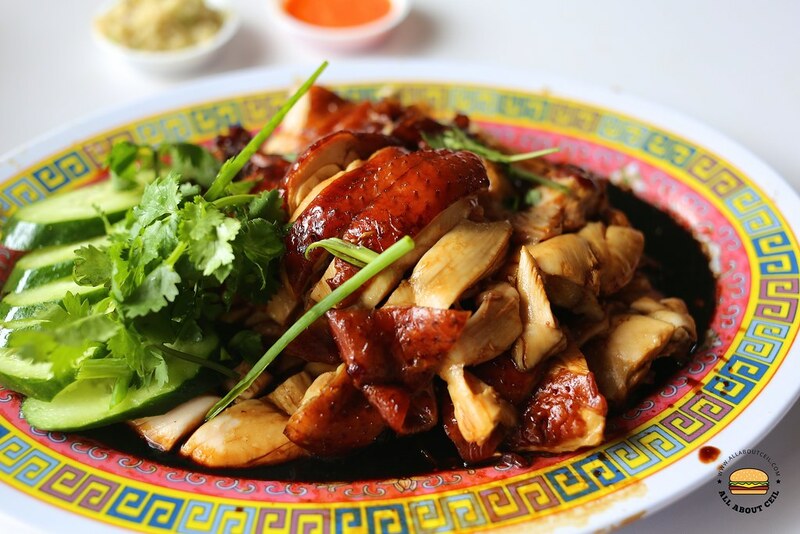 There are many noteworthy Soya Sauce Chicken, some of the popular choices are Fragrant Soya Sauce Chicken and Fatty Ox Hong Kong Kitchen at Chinatown Complex Food Centre, Chiew Kee and Chew Kee at Upper Cross Street and Lee Fun Nam Kee at Toa Payoh Lorong 4. 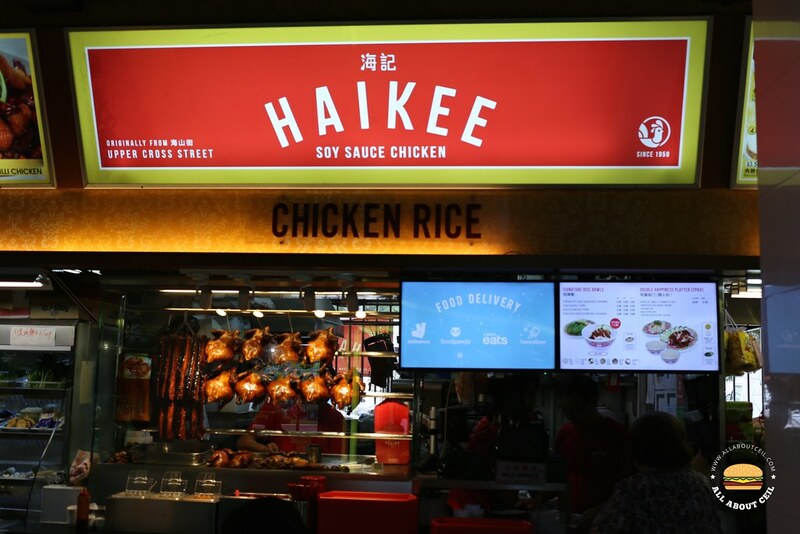 Hai Kee Soya Sauce Chicken is another established brand for Soya Sauce Chicken. 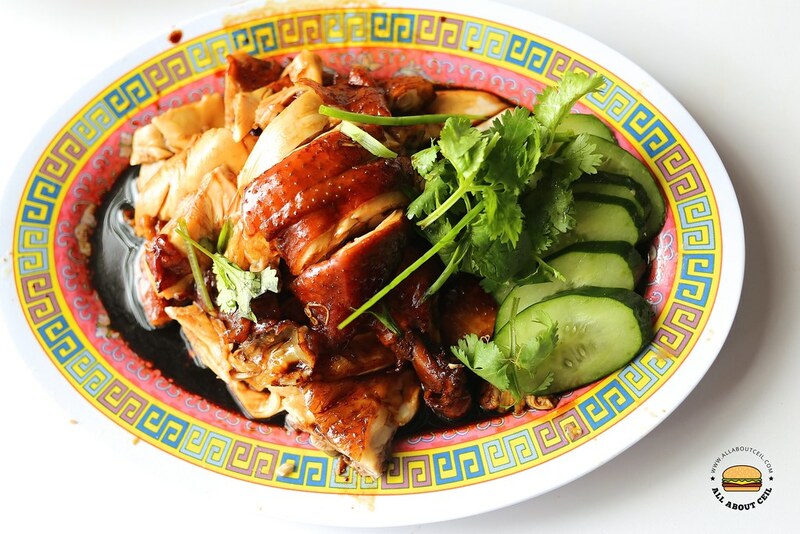 It was first started by Mr Wong Si Han in 1959 at Upper Cross Street before relocating to Katong in 2000 when Mr Wang Kia Jeck took over the business. The business expanded to include 8 outlets islandwide but it started to decline during the bird flu epidemic, it started to shut down one after another and finally ended it. They reopened in 2010 at Eunos Crescent and then another one in Changi in 2013 followed by the one in East Coast Road in 2015. Joseph Wang, decided to take over the family business when he was 21, right after completing his National Service and is currently working along with James Wang, his brother. Now, they left with the stall at Changi but opened a new one at Bedok North, manned by James and Mr Wang Kia Jeck, their father. Their menu is broadened to include roasted pork and char siew. The well-marinated Soya Sauce Chicken was tender and smooth with a light fragrance of the soy sauce, it went well with the accompanying chili sauce and the coarse ginger paste. 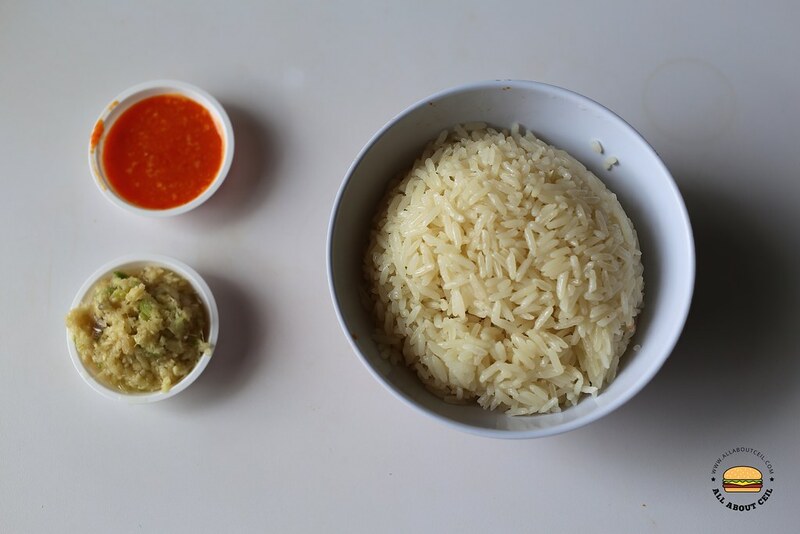 The texture of the rice was grainy, fragrant and not overly oily. My dining companion prefers the one from Lee Fun Nam Kee to this though. This might not be the best Soya Sauce Chicken but it is definitely much better than Liao Fan Hong Kong Soya Sauce Chicken Rice Noodle that has been awarded Michelin star but failed to live up to the hype.